Help Foundation Inc. is a 501-C 3 non- profit Organization located in Jonesboro, Ga. Help Foundation Inc. is DBA * Crossroads DUI School of Improvement. Our mission is to provide the best quality education and tools possible to help those in need!! 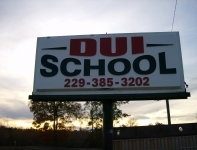 Crossroads DUI School of Improvement offers DUI Classes, Drug and Alcohol Evaluations, and ASAM Level 1 treatments, Defensive Driving and Psycho-Ed Shoplifting Programs ' weekly sessions. Our facility is relaxing , safe and offers an A1 professional atmosphere. Our staff is one of the best qualified in the State of Georgia.